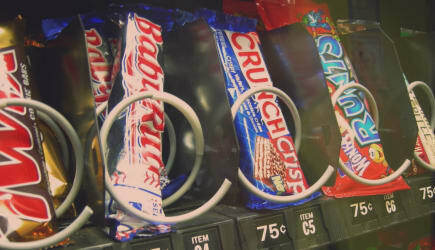 Admit it, you've put money into a vending machine, seen a candy bar make its way almost to the front of a row, and then get stuck. You probably did what the rest of us do and gave the machine a nudge, hoping to dislodge the reluctant treat so you could get what you paid for. So, you probably have some sympathy for 27-year-old Robert McKevitt of Spirit Lake, Iowa. 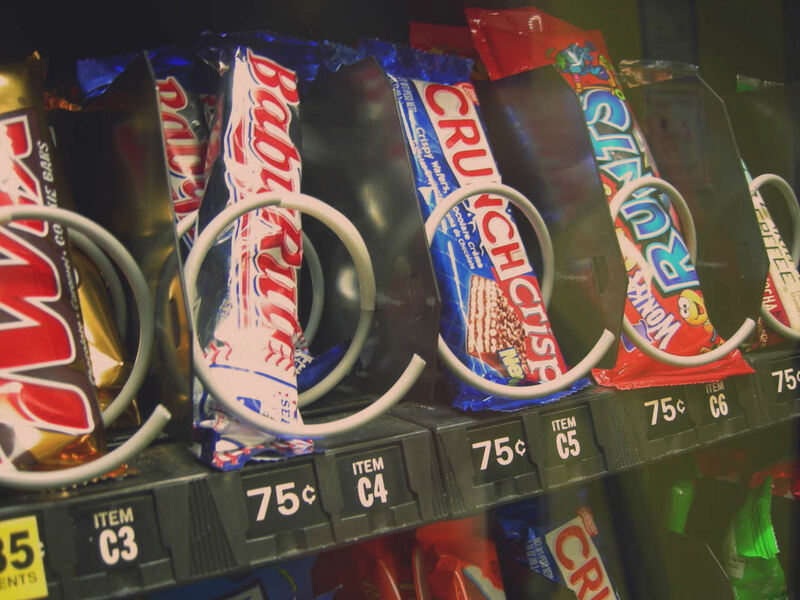 He got fired for trying to wrest a candy bar from a vending machine, according to the Des Moines Register. Then again, he did use an 8,000-pound forklift in the process. McKevitt was on the second shift at a Polaris Industries warehouse in Milford, Iowa. "It was about halfway into my shift and I had a few extra minutes," he told CNN. "I was going to the restroom and the vending machine was next to it. I was going to grab a candy bar and then go to the restroom." McKevitt told the Register that he deposited $1 into a vending machine. All he wanted was a 90-cent Twix bar. All he got was nothing as one of those spiral metal bars turned, sliding the candy bar forward until it reached the end and ... got snagged and held in mid-air. Talk about being betwix and between. Then McKevitt tried the civilized approach, inserted another dollar, and found that the machine stopped working. He tried rocking the machine. Again, nothing. Nada. So, McKevitt escalated the situation – literally. He got a forklift. Here's where versions of the story start to diverge. McKevitt told CNN that he used the forklift to move the vending machine back into place, saying it was a few feet from the wall and "was a safety hazard." But according to a ruling from a state administrative law judge that was made public last month (apparently the incident happened last fall), McKevitt allegedly lifted the vending machine two feet off the floor and let it drop. At least seven times in all, in the Register's account. He retrieved three candy bars from the machine after all was said and done. A supervisor confronted him, according to UPI. Five days later, the maker of snowmobiles and ATVs fired him. How this all unfolded publicly is that McKevitt applied for unemployment benefits and didn't show up for the hearing on December 16, according to the Register. He was denied, with a judge citing a willful disregard for the interests of Polaris Industries. "That machine was trouble," he told the paper. "They fired me, and now I hear they have all new vending machines there." Insult upon injury. Then again, at that point, maybe the machine needed replacing.